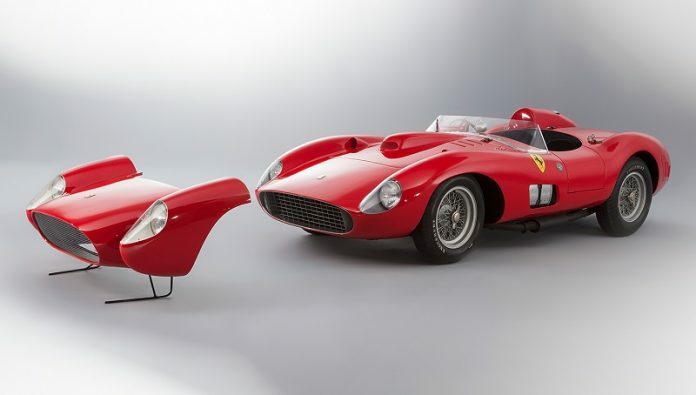 The 1957 Ferrari 335 S Spider Scaglietti is actually one of the hard to see Ferraris in the world with just four ever made. It is equipped with a 4.1-litre V12 engine which normally produces 400 horsepower and can easily reach a top speed of 190 mph. What added to its value is actually the fact that it was driven by some of the best Formula 1 drivers ever such as Stirling Moss and Mike Hawthorne. Click the next ARROW to see the next Ferrari!